This week's inspiration is all about light makeup looks. I have a love for white, so I went searching for a look that completely matched my wardrobe. The white eyeliner look is THE trend for this spring. It gives such a modern and unanbashingly cool vibe. Everyone should try this look at least one time, bright up your spring! It's great trend in make-up! I will definitely try to make similar make-up. 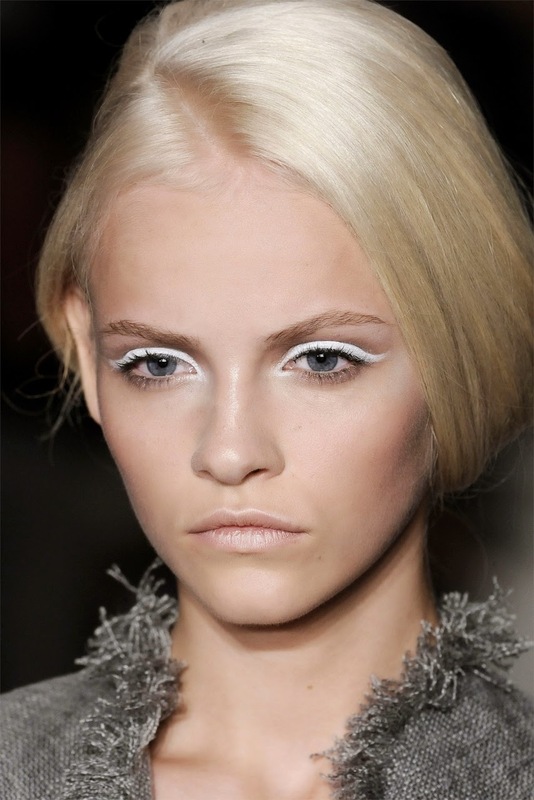 I've never used white eyeliner before, but whatever goes on runway looks very interesting! Looks interesting! 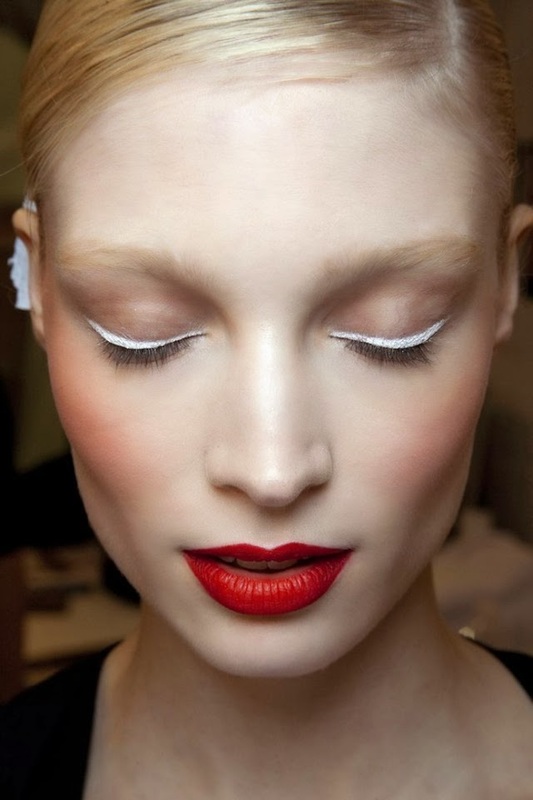 Do you know if there are liquid white eyeliners available somewhere? I don't know or they still have it, but there was once a collection of MAC cosmetics called 'Feline' liquid eyeliner. You can use a pencil as well though! Because it's not a regular thing to wear, it's mostly cool for a high fashion shoot. Wow, what a cool statement look! When done properly, it's awesome. Bionic Bambi, fashion, lifestyle and photography. The darkness and future, to let you look through my eyes, my story and my vision.